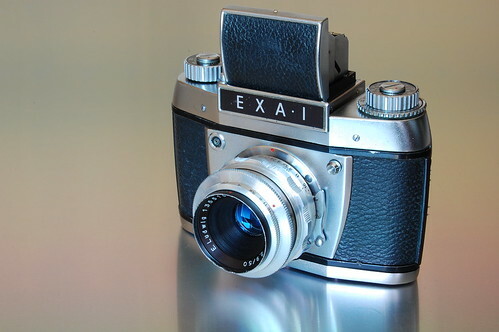 The Exa 1 is a 35mm film SLR camera, manufactured by Ihagee Kamerawerk Steenbergen & Co, Dresden, former East Germany and produced between 1962-64. 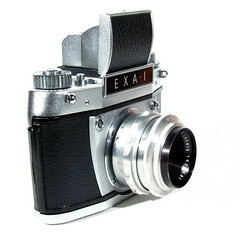 Exa 1 is totally different body shape than its precursor Exa series. The rounded body shape is larger and heavier. 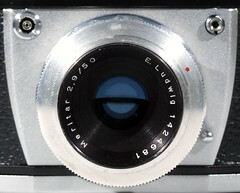 Ihagee was the largest independent camera manufacturer in East Germany. The true Exaktas and Exas are ones made by Ihagee in Dresden. Although Exa is much simpler than the professional Exakta cameras, the workmanship is equally good, finish similar, and the family resemblance obvious. 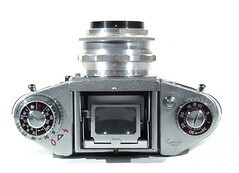 With its lower price, Exa cameras are addressed to the amateur photographers. During the 25th year of production of the 35mm Exaktas, Ihagee introduced the black and white labels as for Exacta IIa as for the Exa. Ihagee did not produce their own lenses. Instead, they relied on many of the major optical firms of their day to each produce a series of lenses for their cameras, eg. Carl Zeiss Jena, Meyer-Optik Görlitz and Schneider-Kreuznach. The lenses from these three makers, in terms of the number and variations of lenses produced, are the most plentiful and in most cases the easiest for collectors and users to acquire. Maybe, over 80% of the Exaktas offered for sale are equipped with normal focal length lenses from these three firms. 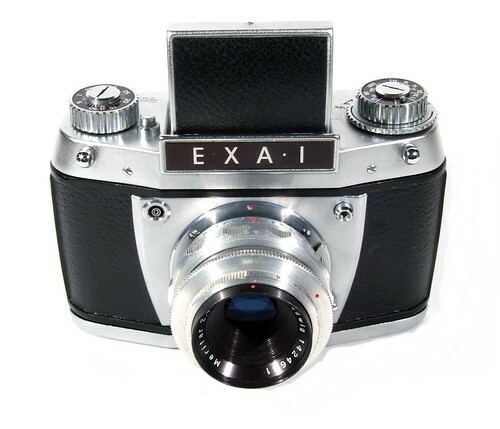 There are two versions of Exa 1. Aperture setting: ring and scale on front of the lens, for setting to a f number, push back the second ring which just behind of the aperture ring, after setting push forward this ring, it engages to the aperture ring, thus you can fully open the diaphragm to compose the image brightly by turning this ring clockwise as far as it goes, and then turn the ring anticlockwise as far as it turns, now the aperture ring is on the your preset f number, then take the picture.